"What makes this CD extra interesting is that it shows a piece of history of the tenor saxophone in jazz. In this case, an important aspect of jazz is clearly emerging. Big soloists have their own sound and put their unique signature in each piece of music. It is one of the characteristics of the art form that is called jazz." "A great CD that actually screams for a sequel because there is more of similar material available." "CD, which belongs in the collection of every true jazz freak." "A beautiful tribute to a beautiful musician." "This fine compilation of his work with nine of the great tenor saxophonists gives the listener a golden opportunity to listen to some of their best workouts and compare their styles and approaches." "A bit of bebop here, a touch of R&B there, and voilà, you have an omelet made with a couple of extra eggs and a splash of hot sauce! It’s a great conclusion to an overall fine album." "Each track exposes one aspect of Ineke's versatility." "Such an anniversary you wish for everyone." "Meets The Tenorplayers; Let There Be Life, Love And Laughter 'is a valuable collection of legendary tenorplayers"
"'Eric Ineke Meets The Tenor Players' is an important historical document and can not be missed in any serious jazz collection." 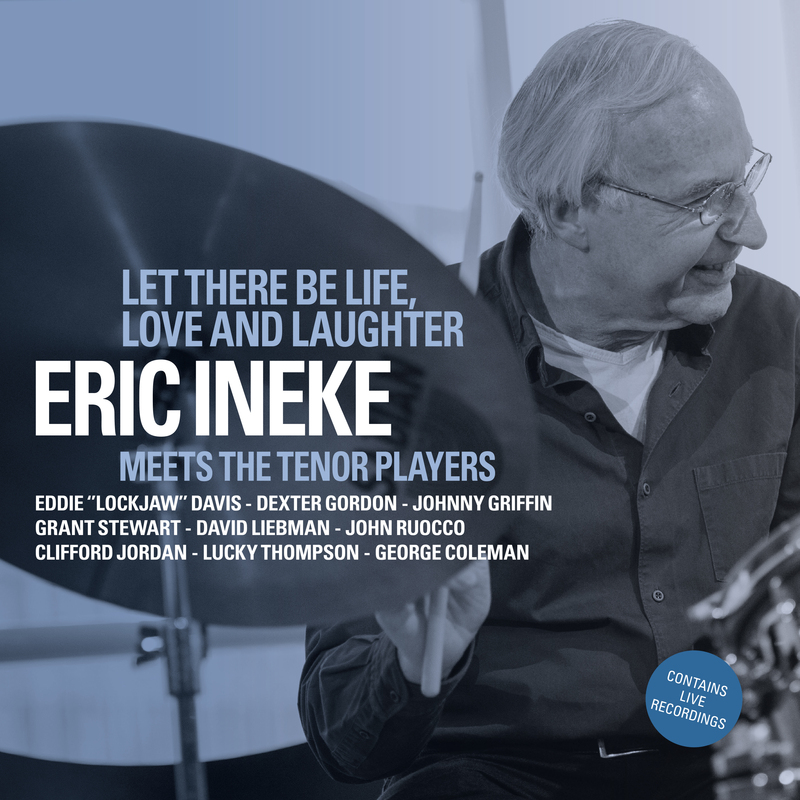 "Let There Be Life, Love And Laughter is a thoroughly enjoyable reminder of the swing and expertise that Eric Ineke has always brought to his gigs with incoming Americans." "Drummer Eric Ineke is elevated in the Order of Orange Nassau. He received the Royal Award on April 1, his seventieth birthday, at the Bimhuis in Amsterdam." "Now that lneke is seventy, Challenge Records presents a nice compilation of recordings of Dutch and Belgian stages." "Jazz drummer Eric Ineke gets a royal ribbon"
"A great album tribute to the drummer of a whole generation of boppers."